IN a pan, add some oil and sautee the onions. Next add the salt and black pepper and mix well. 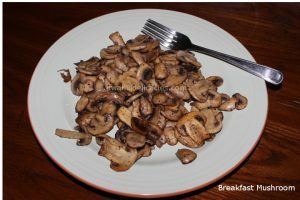 Cook until the mushrooms are cooked. Enjoy with a side of scrambled eggs.